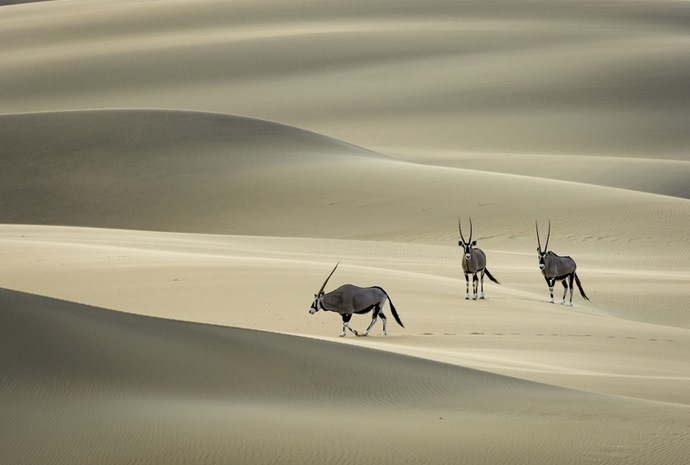 Namibia, an arid country of surprising contrasts, is home to two great deserts. Along its length, the vast shifting sand sea of the Namib sprawls inland along the Atlantic coastline. In the interior, the plateau slopes away to the north and east to meet the Kalahari Desert. There are 11 national parks in Namibia dedicated to preserving and enhancing the country’s unique landscapes, wildlife and native culture. There is also a German colonial heritage, which is especially evident in the capital city of Windhoek and the coastal town of Swakopmund. Below we offer an insight into the aspects that Namibia is most renowned for but should you require any further information or advice please feel free to contact us. Travel around the country is easily done. There are escorted group excursions, but for many, the independence of self-drive is the best option. The main roads are sealed and of good standard, so a 4WD is not absolutely necessary; however, it is generally recommended for driving on some of the unsealed roads in national parks. For those even more independent of spirit, there is a train service linking major cities and a bus network. There are three aspects for which the country is best known: the landscapes, especially the towering sand dunes of Sossusvlei; the native bushmen, who still maintain their nomadic way of life, and the desert adapted wildlife, animals that live only in these most inhospitable areas. You can read more about these aspects below and throughout the Namibia section of our site. The regions of Nambia are all alive with awe-inspiring wonders. To the south, Sossusvlei and Fish River Canyon. To the north, Etosha; east and west too. You'll most likely arrive and depart from Windhoek, perfectly situated in the centre of the country - a base from which to explore every corner. At WILDFOOT we offer spectacular trips to 6 of these remarkable regions so read on to find out more about each area or contact us for further information. 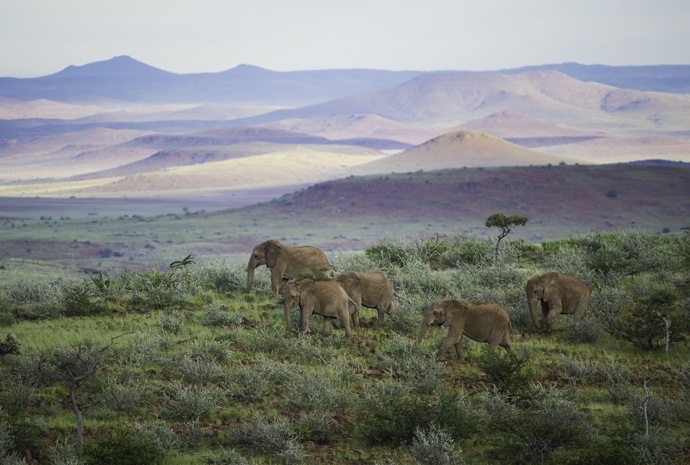 Namibia is a country which has dedicated itself to wildlife conservation. There are 11 national parks spread across the country and a number of other conservation areas. 676 bird species have been recorded in Namibia, of which over 90 are endemic to Southern Africa and 13 to Namibia itself. There are also, 217 species of mammals, 26 of which are endemic: these include unique desert-adapted rhino and elephants. 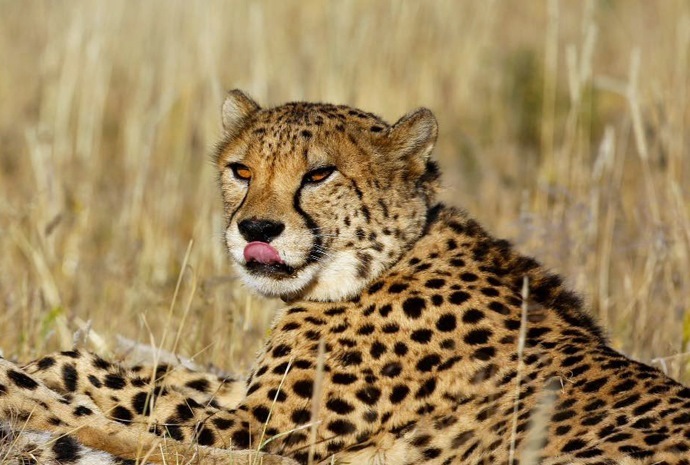 The country is also home to the AfriCat Foundation, an organisation dedicated to the conservation of cheetahs and other big cats. The foundation’s centre can be visited at Okonjima on the way to or from Etosha. Namibia's different cultures span an impressively diverse population for what is a sparsely populated country. From the Bantu-speaking Ovambo and Herero tribes (the latter of which are admired for their colourful Victorian dress) to the Damara minorities and nomadic San Bushmen, the country boasts a wealth of cultural and historical flavours. German colonisation left its imprint with German being a widely spoken language today and German architecture and cuisine featuring prominently, although English is the official language.